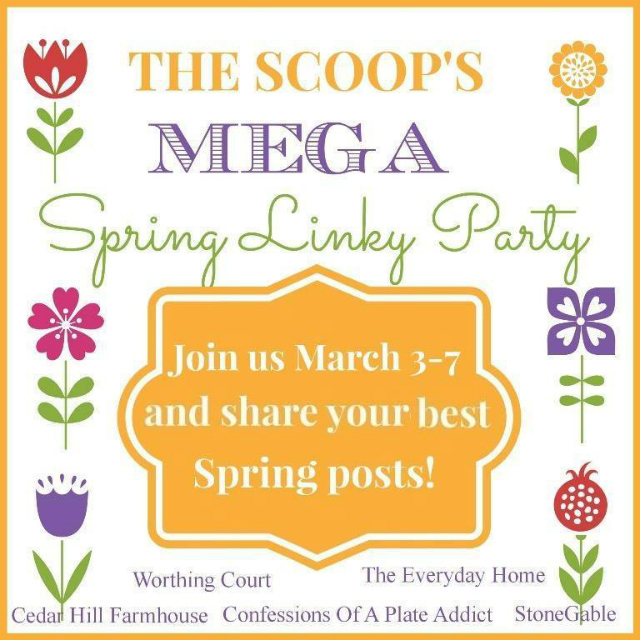 You have an opportunity, as well, to share your Spring Designs as part of The Scoop’s Mega Spring Linky Party! More info to come below!!! 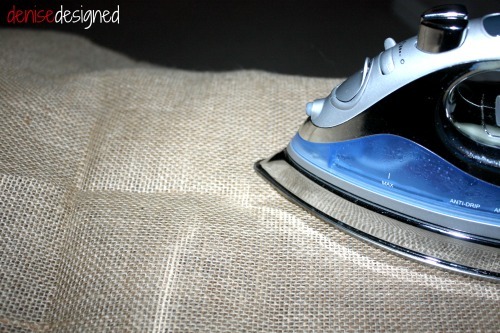 If you have been following my blog, you know that I just recently discovered Burlap. My love for it began in the Fall. You can see more in the Fall Inspiration post! I have continued the burlap throughout the holidays and now into the Spring. Not only have used it in my decor, but also in my wall designs…specifically in my Dining Room. 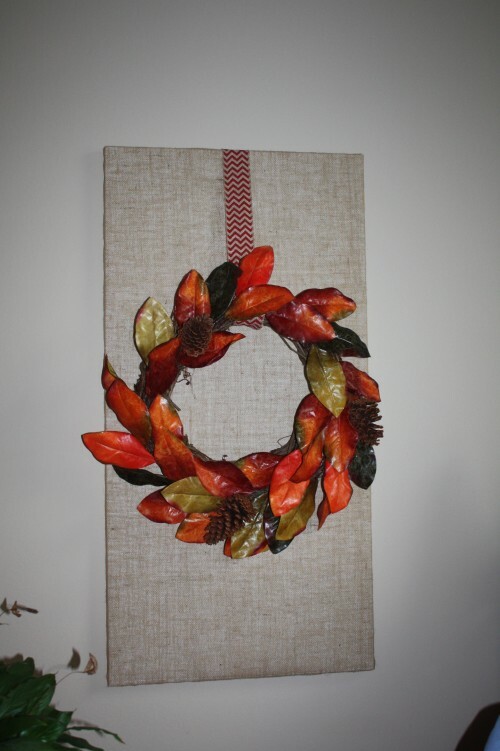 I just used Burlap as my canvas and interchanged the wreaths. Some were made, while others were purchased. 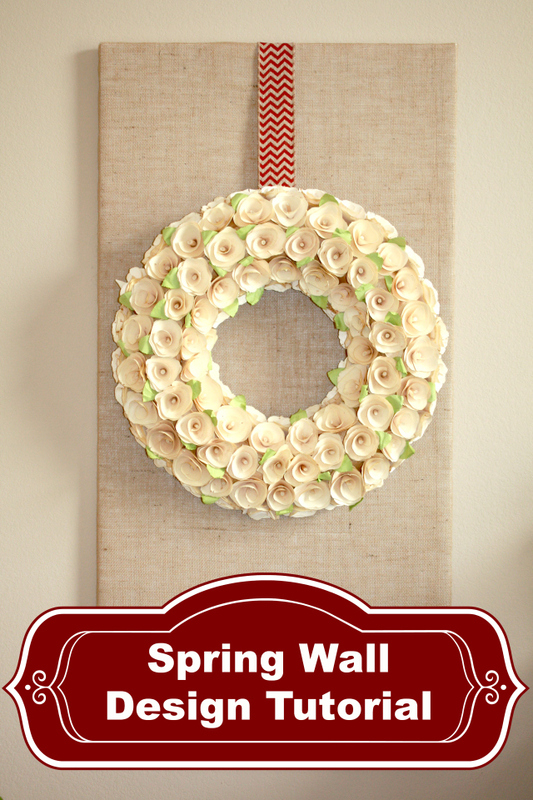 The spring wreath was definitely a purchase because I just fell in love with it. 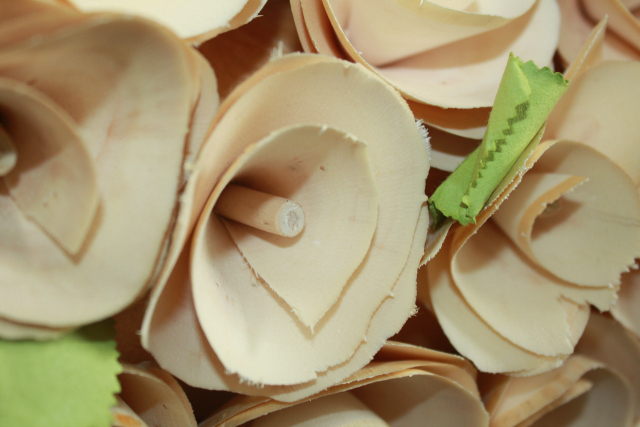 The leaves of the flowers are made of wood shavings!!! 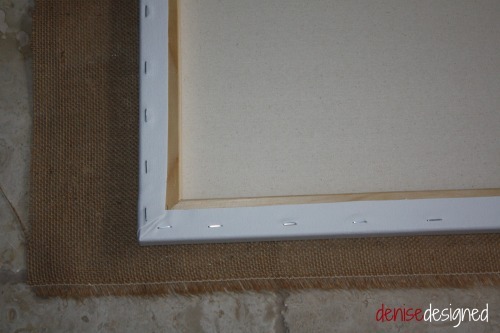 Included below are both the supplies needed and the tutorial to make your own Burlap Canvas. 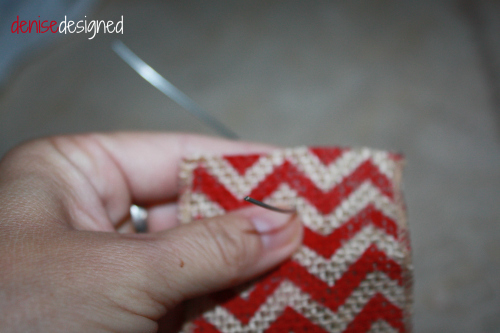 I chose a chevron burlap, the same that I have used previously, but there are so many more options available. 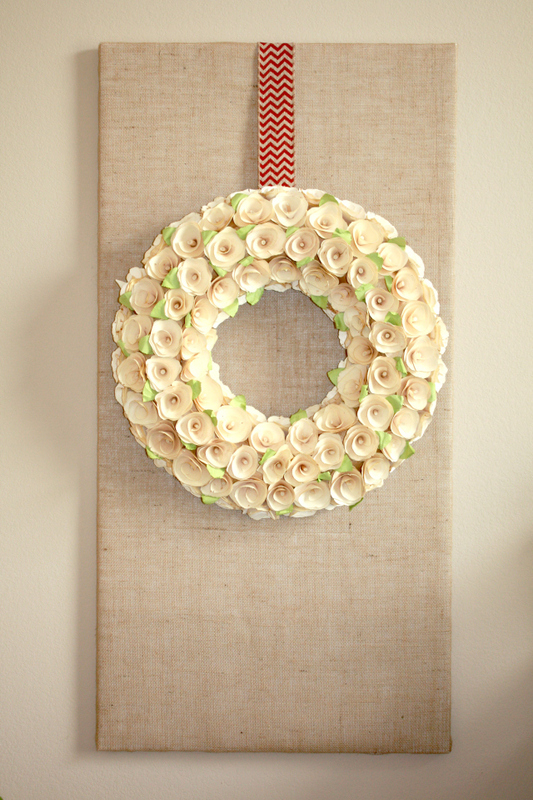 The ribbon was stapled to the canvas and I just hung the wreath by attaching it, with wire, to the ribbon. And there you go…finished Design. Find more Inspiration or Link up your favorite Spring Projects as part of The Scoops Mega Spring Linky Party! 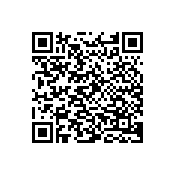 There are over 35 Blogs participating. Can you believe it?!?!? That is a lot of inspiration for those of you seeking ideas for your home. For Bloggers…that is a lot of exposure! So join in the fun!!! 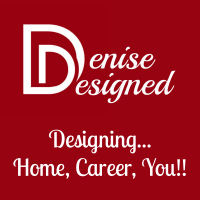 And stay tuned for a round up of some fabulous Spring Design and Decor. 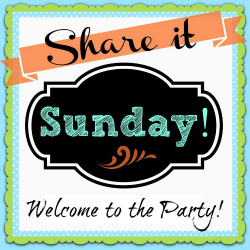 After you link up there, stop by and Share your Project or Peruse the Links at Share it Sunday as well!! 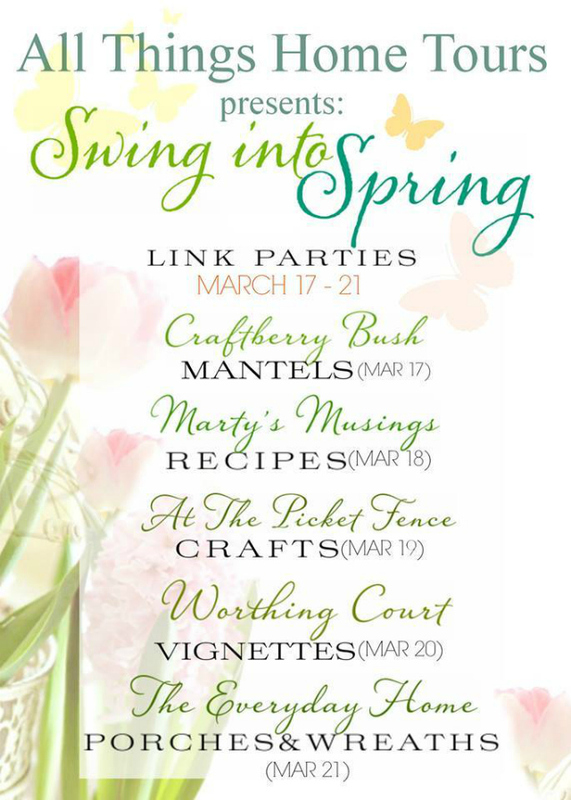 Stay tuned for another fabulous Spring Link Party coming soon…the Swing into Spring Party with specific themes each day!! 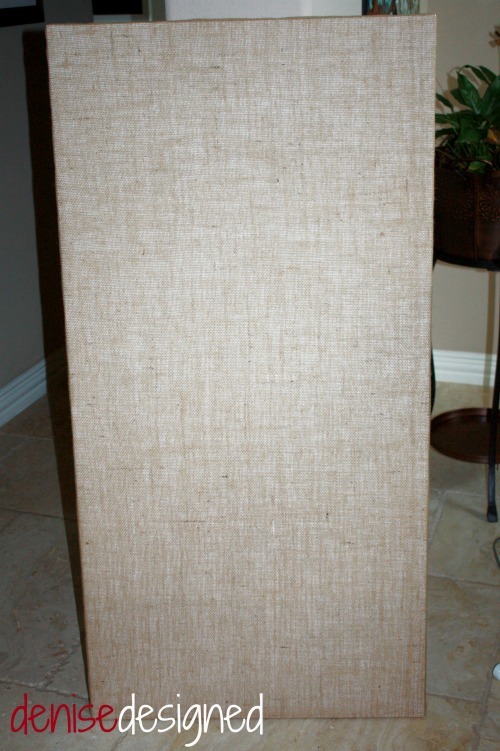 For more Burlap Inspiration, CLICK HERE! So pretty Denise! Is the wreath from Target? I think it might be the one I covet every time I go in the store? LOL~ Love it with the burlap backdrop! Sara…it is from Target!! I just had to buy! I actually bought 2 because there is a mirror version of this on the other side of my buffet. I will highlight in my Spring Home Tour later. But yes! Go buy it! At least one! I am sure you deserve it! 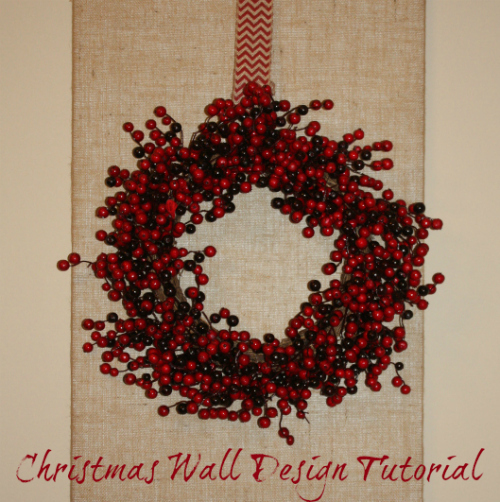 Making a burlap background is a great way to make a wreath stand out. Your tutorial makes it easy, too! I love that chevron burlap ribbon. Wonder why I never see neat stuff like that when I go to the craft store? Ha Paula!! 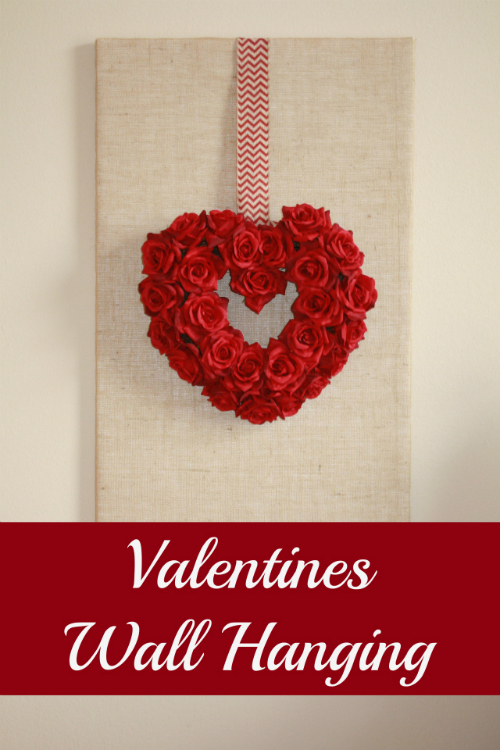 I found the burlap ribbon during a time when I was going to the craft store almost every day! So no wonder why I found it. I probably knew every square inch of Hobby Lobby last season. Crazy! Thanks, as well! It definitely was easy! Thanks for stopping by! Wow this is so pretty Denise! I had no idea those were would shavings….gorgeous! So pretty, Denise! 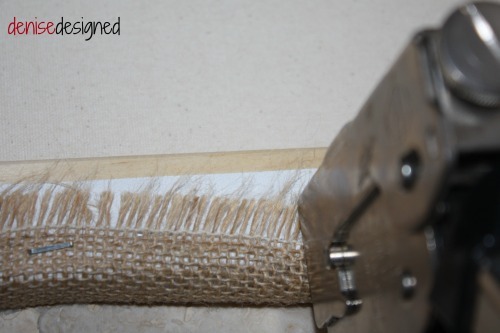 I love getting new ideas for burlap projects and I’m definitely pinning! Your wreath is so pretty! I would have had to bring that one home, too. So glad you told where you found it because I will have to go see if Target still has some! Of course, your burlap background really makes it stand out! Pinning!